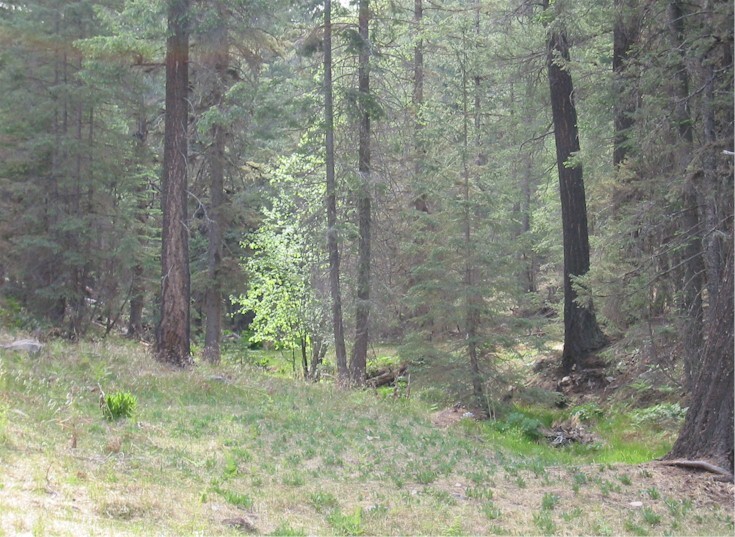 I love the Pinaleno Mountains. They are by far the very best Arizona has to offer as far as the "Sky Islands". I don't really want to say this too loud, as I like the serenity up there and would like to keep the riff-raff out. But, there is still plenty of riff-raff that goes up there as it is. I can never understand why people go to the wilderness to listen to loud music. They ruin my harmonious communing. I camp out there when I go because it's a four-hour drive from Phoenix. I have been camping at the Shannon Campground, as it is one of the nicest. There are still plenty of other campgrounds, with facilities and without. There are also a slew of great hiking trails. I have only hiked Heliograph Peak, Ash Creek, Cunningham Loop and Webb Peak. If anyone can tell me more about the trails in the Pinalenos, please let me know. I have discovered trails going off everywhere just from snooping around places in the mountains and I have no idea where they go. I'm a little leery of just traipsing off on one of these unmarked trails, as they are unknown and I might get lost or eaten by a bear. Hike: From the Shannon Campground, the trailhead is at the end of the campground at the turnaround. There is a marker for "Arcadia Trail" right there next to the "doody shack", as I call it. Start in here. You'll have a beautiful and completely flat walk for about 15 minutes, then the trail will start to climb. At the point where you start to climb, look for another trail going downhill. I placed a cairn there today, but have no clue whether it will stay. 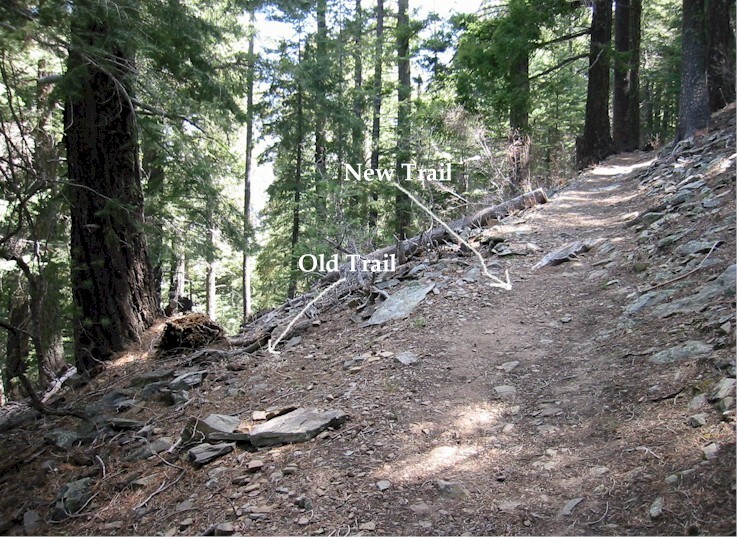 This, I believe, is the "old" trail. If you take this trail and go downhill you'll end up back at Shannon. It's a completely un-maintained trail and you'll have a lot of fallen timber to hop over. I hiked this part from Shannon, starting at the creek and following it along the old trail. It swung around, went by a spring with water bubbling out of the ground and climbed up to the point on the new trail I am now describing. It was interesting, but pointless. You'll switchback in the shade of conifers and aspen. Once at the top, you'll see the cut off for the Arcadia Trail. This will take you 4 miles down to the Arcadia Campground. I have never gone this way, as I would never be able to get back up. I would say it's best done in a two car shuttle. Keep climbing. You'll get to a rocky area where you'll actually go through a sort of pass. Then it takes you down for a little bit before starting in on more switchbacks. When you think you're at the top, think again. The trail turns south and keeps climbing. Suddenly you're in a clearing and you can see the fire towers and some forestry buildings. It's here you see the road and think, man, I could have driven! From here you just turn around and go back the way you came.